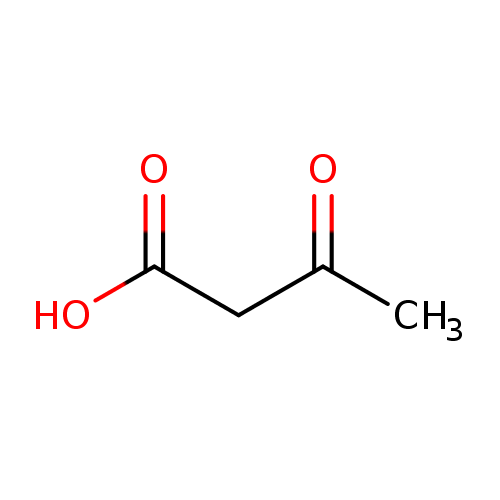 Acetoacetic acid (AcAc) is a weak organic acid that can be produced in the human liver under certain conditions of poor metabolism leading to excessive fatty acid breakdown (diabetes mellitus leading to diabetic ketoacidosis). It is then partially converted into acetone by decarboxylation and excreted either in urine or through respiration. Persistent mild hyperketonemia is a common finding in newborns. Ketone bodies serve as an indispensable source of energy for extrahepatic tissues, especially the brain and lung of developing rats. Another important function of ketone bodies is to provide acetoacetyl-CoA and acetyl-CoA for synthesis of cholesterol, fatty acids, and complex lipids. During the early postnatal period, acetoacetate and beta-hydroxybutyrate are preferred over glucose as substrates for synthesis of phospholipids and sphingolipids in accord with requirements for brain growth and myelination. Thus, during the first two weeks of postnatal development, when the accumulation of cholesterol and phospholipids accelerates, the proportion of ketone bodies incorporated into these lipids increases. On the other hand, an increased proportion of ketone bodies are utilized for cerebroside synthesis during the period of active myelination. In the lung, AcAc serves better than glucose as a precursor for the synthesis of lung phospholipids. 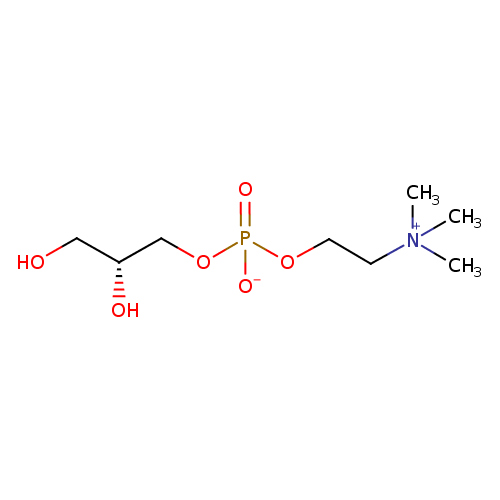 The synthesized lipids, particularly dipalmityl phosphatidylcholine, are incorporated into surfactant, and thus have a potential role in supplying adequate surfactant lipids to maintain lung function during the early days of life (PMID: 3884391). The acid is also present in the metabolism of those undergoing starvation or prolonged physical exertion as part of gluconeogenesis. When ketone bodies are measured by way of urine concentration, acetoacetic acid, along with beta-hydroxybutyric acid or acetone, is what is detected. Adenosine 3', 5'-diphosphate or PAP is a nucleotide that is closely related to ADP. 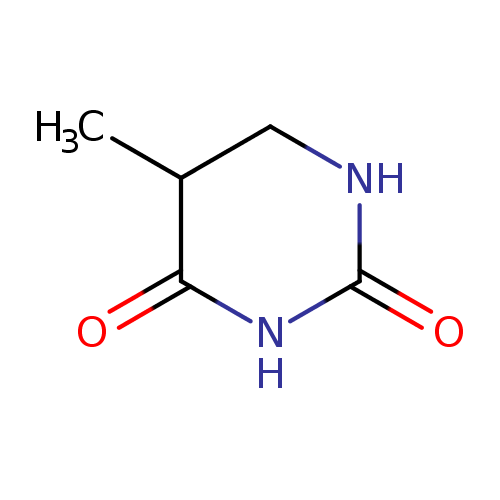 It has two phosphate groups attached to the 5' and 3' positions of the pentose sugar ribose (instead of pyrophosphoric acid at the 5' position, as found in ADP), and the nucleobase adenine. PAP is converted to PAPS by Sulfotransferase and then back to PAP after the sulfotransferase reaction. Sulfotransferase (STs) catalyze the transfer reaction of the sulfate group from the ubiquitous donor 3'-phosphoadenosine 5'-phosphosulfate (PAPS) to an acceptor group of numerous substrates. This reaction, often referred to as sulfuryl transfer, sulfation, or sulfonation, is widely observed from bacteria to humans and plays a key role in various biological processes such as cell communication, growth and development, and defense. PAP also appears to a role in bipolar depression. Phosphatases converting 3'-phosphoadenosine 5'-phosphate (PAP) into adenosine 5'-phosphate are of fundamental importance in living cells as the accumulation of PAP is toxic to several cellular systems. These enzymes are lithium-sensitive and we have characterized a human PAP phosphatase as a potential target of lithium therapy. Carnitine is not an essential amino acid; it can be synthesized in the body. However, it is so important in providing energy to muscles (including the heart) that some researchers are now recommending carnitine supplements in the diet, particularly for people who do not consume much red meat (the main food source for carnitine). Carnitine has been described as a vitamin, an amino acid, or a metabimin (i.e. an essential metabolite). Like the B vitamins, carnitine contains nitrogen and is very soluble in water, and to some researchers carnitine is a vitamin (Liebovitz 1984). It was found that an animal (yellow mealworm) could not grow without carnitine in its diet. However, as it turned out, almost all other animals, including humans, do make their own carnitine; thus, it is no longer considered a vitamin. Nevertheless, in certain circumstances, such as deficiencies of methionine, lysine, or vitamin C or kidney dialysis, carnitine shortages develop. Under these conditions, carnitine must be absorbed from food, and for this reason it is sometimes referred to as a "metabimin" or a conditionally essential metabolite. Like the other amino acids used or manufactured by the body, carnitine is an amine. But like choline, which is sometimes considered to be a B vitamin, carnitine is also an alcohol (specifically, a trimethylated carboxy-alcohol). Thus, carnitine is an unusual amino acid and has different functions than most other amino acids, which are usually employed by the body in the construction of protein. Carnitine is an essential factor in fatty acid metabolism in mammals. Its most important known metabolic function is to transport fat into the mitochondria of muscle cells, including those in the heart, for oxidation. This is how the heart gets most of its energy. In humans, about 25% of carnitine is synthesized in the liver, kidney, and brain from the amino acids lysine and methionine. Most of the carnitine in the body comes from dietary sources such as red meat and dairy products. Inborn errors of carnitine metabolism can lead to brain deterioration like that of Reye's syndrome, gradually worsening muscle weakness, Duchenne-like muscular dystrophy, and extreme muscle weakness with fat accumulation in muscles. Borum et al. (1979) describe carnitine as an essential nutrient for pre-term babies and individuals who are unable to eat a normal diet (e.g. non-ketotic hypoglycemics, kidney dialysis patients) (PMID: 115309). In conditions such as kwashiorkor, cirrhosis, and heart muscle disease (cardiomyopathy) as well as in inborn errors of metabolism such as type IV hyperlipidemia and propionic or organic aciduria (acid urine resulting from genetic or other anomalies), carnitine is essential to life and carnitine supplements are valuable. Carnitine therapy may also be useful in a wide variety of clinical conditions. Carnitine supplementation has improved some patients who have angina secondary to coronary artery disease. It may also be worth a trial for patients with any form of hyperlipidemia or muscle weakness. Carnitine supplements may also be useful in many forms of toxic or metabolic liver disease and in cases of heart muscle disease. Hearts undergoing severe arrhythmia quickly deplete their stores of carnitine. Athletes, particularly in Europe, have used carnitine supplements for improved endurance. Carnitine may improve muscle building by improving fat utilization and may even be useful in treating obesity. Carnitine joins a long list of nutrients which may be of value in treating pregnant women, hypothyroid individuals, and male infertility due to the low motility of sperm. Carnitine deficiency is noted in abnormal liver function, renal dialysis patients, and severe to moderate muscular weakness with associated anorexia (http://www.dcnutrition.com). Carnitine is a biomarker for the consumption of meat. Cortisol is the main glucocorticoid secreted by the adrenal cortex and it is involved in the stress response. Its synthetic counterpart hydrocortisone is used, either as an injection or topically, in the treatment of inflammation, allergy, collagen diseases, asthma, adrenocortical deficiency, shock, and some neoplastic conditions. 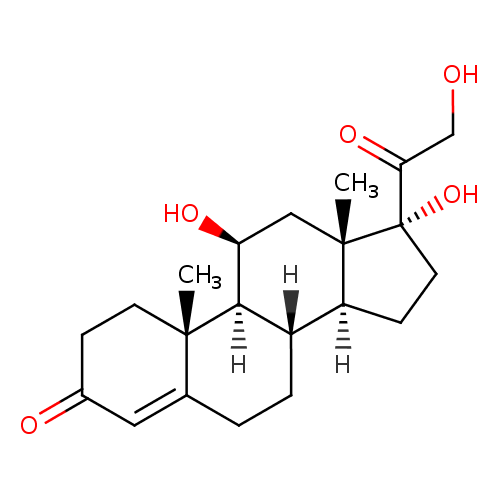 Hydrocortisone is synthesized from pregnenolone and is used as an immunosuppressive drug given by injection in the treatment of severe allergic reactions such as anaphylaxis and angioedema, in place of prednisolone in patients who need steroid treatment but cannot take oral medication, and peri-operatively in patients on long-term steroid treatment to prevent an Addisonian crisis. Cortisol increases blood pressure, blood sugar levels, may cause infertility in women, and suppresses the immune system. The amount of cortisol present in the serum undergoes diurnal variation, with the highest levels present in the early morning and lower levels in the evening, several hours after the onset of sleep. Cortisol is found to be associated with ACTH deficiency and glucocorticoid deficiency, which are inborn errors of metabolism. Cortisol binds to the cytosolic glucocorticoid receptor. After binding the receptor, the newly formed receptor-ligand complex translocates itself into the cell nucleus where it binds to many glucocorticoid response elements (GRE) in the promoter region of the target genes. The DNA-bound receptor then interacts with basic transcription factors, causing the increase in expression of specific target genes. The anti-inflammatory actions of corticosteroids are thought to involve lipocortins, phospholipase A2 inhibitory proteins which, through inhibition arachidonic acid, control the biosynthesis of prostaglandins and leukotrienes. Specifically, glucocorticoids induce lipocortin-1 (annexin-1) synthesis, which then binds to cell membranes and prevents phospholipase A2 from coming into contact with its substrate arachidonic acid. This leads to diminished eicosanoid production. The cyclooxygenase (both COX-1 and COX-2) expression is also suppressed, potentiating the effect. In other words, the two main products of inflammation, prostaglandins and leukotrienes, are inhibited by the action of glucocorticoids. Glucocorticoids also stimulate the escape of lipocortin-1 into the extracellular space, where it binds to the leukocyte membrane receptors and inhibits various inflammatory events: epithelial adhesion, emigration, chemotaxis, phagocytosis, respiratory burst, and the release of various inflammatory mediators (lysosomal enzymes, cytokines, tissue plasminogen activator, chemokines, etc.) from neutrophils, macrophages, and mastocytes. Additionally, the immune system is suppressed by corticosteroids due to a decrease in the function of the lymphatic system, a reduction in immunoglobulin and complement concentrations, the precipitation of lymphocytopenia, and interference with antigen-antibody binding. Creatine is an amino acid that occurs in vertebrate tissues and in urine. In muscle tissue, creatine generally occurs as phosphocreatine. Creatine is excreted as creatinine in the urine. Creatine functions as part of the cell's energy shuttle. The high energy phosphate group of ATP is transferred to creatine to form phosphocreatine in the following reaction: Cr + ATP <-> PCr + ADP. This reaction is reversibly catalyzed by creatine kinase. In the human body, creatine is synthesized mainly in the liver by the use of parts from three different amino acids: arginine, glycine, and methionine. 95% of it is later stored in the skeletal muscles and the rest is stored in the brain, heart, and testes. Cholesterol is a sterol (a combination steroid and alcohol) and a lipid found in the cell membranes of all body tissues and transported in the blood plasma of all animals. The name originates from the Greek chole- (bile) and stereos (solid), and the chemical suffix -ol for an alcohol. This is because researchers first identified cholesterol in solid form in gallstones in 1784. In the body, cholesterol can exist in either the free form or as an ester with a single fatty acid (of 10-20 carbons in length) covalently attached to the hydroxyl group at position 3 of the cholesterol ring. Due to the mechanism of synthesis, plasma cholesterol esters tend to contain relatively high proportions of polyunsaturated fatty acids. Most of the cholesterol consumed as a dietary lipid exists as cholesterol esters. Cholesterol esters have a lower solubility in water than cholesterol and are more hydrophobic. They are hydrolyzed by the pancreatic enzyme cholesterol esterase to produce cholesterol and free fatty acids. Cholesterol has vital structural roles in membranes and in lipid metabolism in general. It is a biosynthetic precursor of bile acids, vitamin D, and steroid hormones (glucocorticoids, estrogens, progesterones, androgens and aldosterone). In addition, it contributes to the development and functioning of the central nervous system, and it has major functions in signal transduction and sperm development. Cholesterol is a ubiquitous component of all animal tissues where much of it is located in the membranes, although it is not evenly distributed. The highest proportion of unesterified cholesterol is in the plasma membrane (roughly 30-50% of the lipid in the membrane or 60-80% of the cholesterol in the cell), while mitochondria and the endoplasmic reticulum have very low cholesterol contents. Cholesterol is also enriched in early and recycling endosomes, but not in late endosomes. The brain contains more cholesterol than any other organ where it comprises roughly a quarter of the total free cholesterol in the human body. Of all the organic constituents of blood, only glucose is present in a higher molar concentration than cholesterol. Cholesterol esters appear to be the preferred form for transport in plasma and as a biologically inert storage (de-toxified) form. They do not contribute to membranes but are packed into intracellular lipid particles. Cholesterol molecules (i.e. cholesterol esters) are transported throughout the body via lipoprotein particles. The largest lipoproteins, which primarily transport fats from the intestinal mucosa to the liver, are called chylomicrons. They carry mostly triglyceride fats and cholesterol that are from food, especially internal cholesterol secreted by the liver into the bile. In the liver, chylomicron particles give up triglycerides and some cholesterol. They are then converted into low-density lipoprotein (LDL) particles, which carry triglycerides and cholesterol on to other body cells. In healthy individuals, the LDL particles are large and relatively few in number. In contrast, large numbers of small LDL particles are strongly associated with promoting atheromatous disease within the arteries. (Lack of information on LDL particle number and size is one of the major problems of conventional lipid tests.). In conditions with elevated concentrations of oxidized LDL particles, especially small LDL particles, cholesterol promotes atheroma plaque deposits in the walls of arteries, a condition known as atherosclerosis, which is a major contributor to coronary heart disease and other forms of cardiovascular disease. There is a worldwide trend to believe that lower total cholesterol levels tend to correlate with lower atherosclerosis event rates (though some studies refute this idea). As a result, cholesterol has become a very large focus for the scientific community trying to determine the proper amount of cholesterol needed in a healthy diet. However, the primary association of atherosclerosis with cholesterol has always been specifically with cholesterol transport patterns, not total cholesterol per se. For example, total cholesterol can be low, yet made up primarily of small LDL and small HDL particles and atheroma growth rates are high. In contrast, however, if LDL particle number is low (mostly large particles) and a large percentage of the HDL particles are large (HDL is actively reverse transporting cholesterol), then atheroma growth rates are usually low, even negative, for any given total cholesterol concentration. These effects are further complicated by the relative concentration of asymmetric dimethylarginine (ADMA) in the endothelium since ADMA down-regulates production of nitric oxide, a relaxant of the endothelium. Thus, high levels of ADMA, associated with highly oxidized levels of LDL, pose a heightened risk factor for vascular disease. Chronically high levels of cholesterol are associated with at least five inborn errors of metabolism, including cerebrotendinous xanthomatosis, cholesteryl ester storage disease, congenital lipoid adrenal hyperplasia, hypercholesterolemia, and Zellweger syndrome. In chronically high levels, cholesterol can function as an atherogen (causes atherosclerosis and cardiovascular disease). Specifically, chronically high levels (from diet or from genetic predisposition or from diseases such as hyperlipidemia) of cholesterol and cholesterol esters lead to an excess of low-density lipoprotein (LDL) particles. In healthy individuals, the LDL particles are large and relatively few in number. In contrast, large numbers of small LDL particles are strongly associated with promoting atheromatous disease within the arteries. In conditions with elevated concentrations of oxidized LDL particles, especially small LDL particles, cholesterol promotes atheroma plaque deposits in the walls of arteries, a condition known as atherosclerosis, which is a major contributor to coronary heart disease and other forms of cardiovascular disease. Resistin, a protein secreted by fat tissue, has been shown to increase the production of LDL in human liver cells and also degrades LDL receptors in the liver. As a result, the liver is less able to clear cholesterol from the bloodstream. Resistin accelerates the accumulation of LDL in arteries, increasing the risk of heart disease. Epinephrine is a catecholamine, a sympathomimetic monoamine derived from the amino acids phenylalanine and tyrosine. It is the active sympathomimetic hormone secreted from the adrenal medulla in most species. It stimulates both the alpha- and beta- adrenergic systems, causes systemic vasoconstriction and gastrointestinal relaxation, stimulates the heart, and dilates bronchi and cerebral vessels. It is used in asthma and cardiac failure and to delay absorption of local anesthetics. Epinephrine also constricts arterioles in the skin and gut while dilating arterioles in leg muscles. It elevates the blood sugar level by increasing hydrolysis of glycogen to glucose in the liver, and at the same time begins the breakdown of lipids in adipocytes. Epinephrine has a suppressive effect on the immune system. Deoxyinosine is a nucleoside that is formed when hypoxanthine is attached to a deoxyribose ring (also known as a ribofuranose) via a beta-N9-glycosidic bond. Deoxyinosine is found in DNA while Inosine is found in RNA. 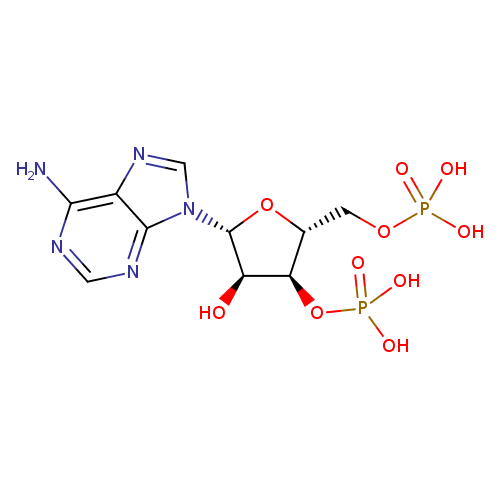 Inosine is a nucleic acid important for RNA editing. Adenosine deaminase (ADA) catalyzes the conversion of adenosine and deoxyadenosine to inosine and deoxyinosine, respectively. ADA-deficient individuals suffer from severe combined immunodeficiency (SCID) and are unable to produce significant numbers of mature T or B lymphocytes. This occurs as a consequence of the accumulation of ADA substrates or their metabolites. Inosine is also an intermediate in a chain of purine nucleotides reactions required for muscle movements. 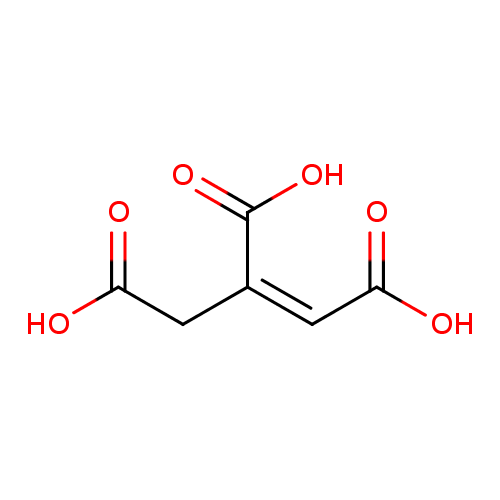 cis-Aconitic acid is an intermediate in the tricarboxylic acid cycle produced by the dehydration of citric acid. The enzyme aconitase (aconitate hydratase; EC 4.2.1.3) catalyses the stereo-specific isomerization of citrate to isocitrate via cis-aconitate in the tricarboxylic acid cycle. 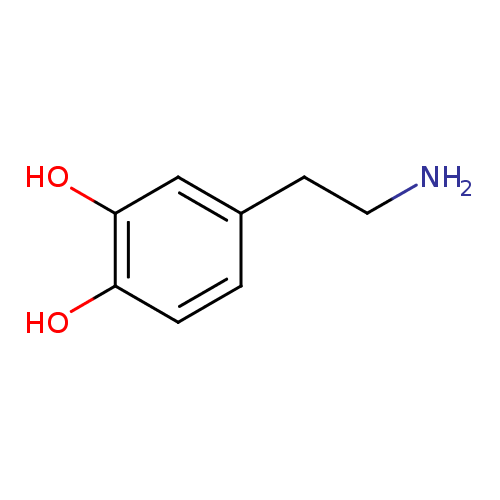 Dopamine is a member of the catecholamine family of neurotransmitters in the brain and is a precursor to epinephrine (adrenaline) and norepinephrine (noradrenaline). Dopamine is synthesized in the body (mainly by nervous tissue and adrenal glands) first by the hydration of the amino acid tyrosine to DOPA by tyrosine hydroxylase and then by the decarboxylation of DOPA by aromatic-L-amino-acid decarboxylase. Dopamine is a major transmitter in the extrapyramidal system of the brain, and important in regulating movement. A family of receptors (dopamine receptors) mediates its action, which plays a major role in reward-motivated behaviour. Dopamine has many other functions outside the brain. In blood vessels, dopamine inhibits norepinephrine release and acts as a vasodilator (at normal concentrations); in the kidneys, it increases sodium excretion and urine output; in the pancreas, it reduces insulin production; in the digestive system, it reduces gastrointestinal motility and protects intestinal mucosa; and in the immune system, it reduces the activity of lymphocytes. Parkinson's disease, a degenerative condition causing tremor and motor impairment, is caused by a loss of dopamine-secreting neurons in an area of the midbrain called the substantia nigra. There is evidence that schizophrenia involves altered levels of dopamine activity, and most antipsychotic drugs used to treat this are dopamine antagonists, which reduce dopamine activity. Attention deficit hyperactivity disorder, bipolar disorder, and addiction are also characterized by defects in dopamine production or metabolism. It has been suggested that animals derived their dopamine-synthesizing machinery from bacteria via horizontal gene transfer that may have occurred relatively late in evolutionary time. This is perhaps a result of the symbiotic incorporation of bacteria into eukaryotic cells that gave rise to mitochondria. Dopamine is elevated in the urine of people who consume bananas. When present in sufficiently high levels, dopamine can be a neurotoxin and a metabotoxin. A neurotoxin is a compound that disrupts or attacks neural tissue. A metabotoxin is an endogenously produced metabolite that causes adverse health effects at chronically high levels. Chronically high levels of dopamine are associated with neuroblastoma, Costello syndrome, leukemia, phaeochromocytoma, aromatic L-amino acid decarboxylase deficiency, and Menkes disease (MNK). High levels of dopamine can lead to hyperactivity, insomnia, agitation and anxiety, depression, delusions, excessive salivation, nausea, and digestive problems. Dihydrouracil is an intermediate breakdown product of uracil. 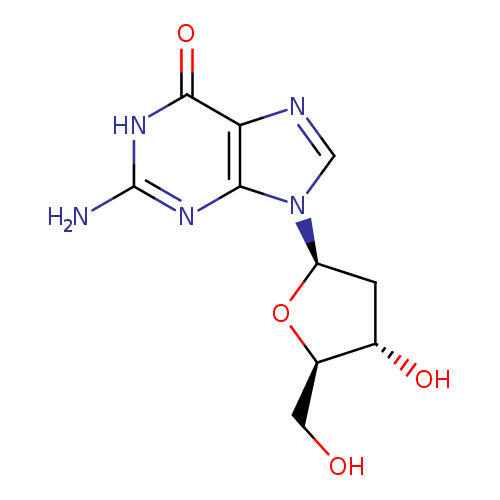 Dihydropyrimidine dehydrogenase (DHP) catalyzes the reduction of uracil into 5,6-dihydrouracil then dihydropyrimidinase hydrolyzes 5,6-dihydrouracil into N-carbamyl-beta-alanine. Finally, beta-ureidopropionase catalyzes the conversion of N-carbamyl-beta-alanine into beta-alanine. When present at abnormally high levels, dihydrouracil can be toxic although the mechanism of toxicity is not clear. In particular, patients with dihydropyrimidinase deficiency exhibit highly increased concentrations of 5,6-dihydrouracil and 5,6-dihydrothymine, and moderately increased concentrations of uracil and thymine can be detected in urine. Dihydropyrimidinase deficiency is a disorder that can cause neurological and gastrointestinal problems in some affected individuals (OMIM: 222748). The neurological abnormalities that occur most often in people with dihydropyrimidinase deficiency are intellectual disability, seizures, weak muscle tone (hypotonia), an abnormally small head size (microcephaly), and autistic behaviours that affect communication and social interaction. Gastrointestinal problems that occur in dihydropyrimidinase deficiency include backflow of acidic stomach contents into the esophagus (gastroesophageal reflux) and recurrent episodes of vomiting. The direct measurement of the activity of DHP in patients has been hampered by the fact that the enzyme is expressed almost exclusively in liver tissue. 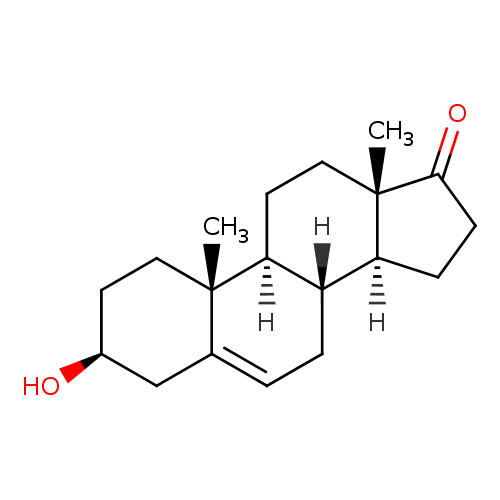 Dehydroepiandrosterone (DHEA) is a natural steroid hormone produced from cholesterol by the adrenal glands. DHEA is also produced in the gonads, adipose tissue, and the brain. 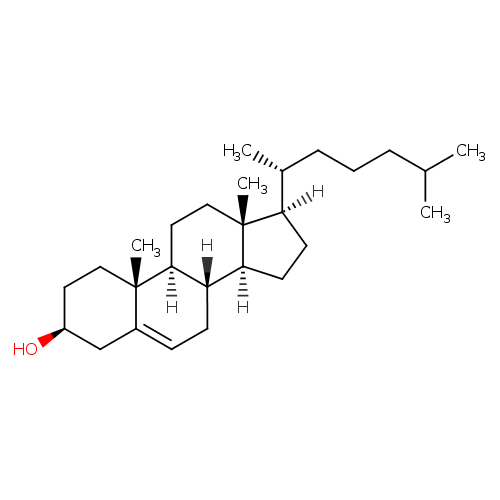 DHEA is structurally similar to and is a precursor of, androstenedione, testosterone, estradiol, estrone, and estrogen. It is the most abundant hormone in the human body. Most of DHEA is sulfated (dehydroepiandrosterone sulfate or DHEA-S) before secretion. DHEA-S is the sulfated version of DHEA; this conversion is reversibly catalyzed by sulfotransferase (SULT2A1) primarily in the adrenals, the liver, and small intestines. In blood, most DHEA is found as DHEA-S with levels that are about 300 times higher than free DHEA. Blood measurements of DHEA-S/DHEA are useful to detect excess adrenal activity as seen in adrenal cancer or hyperplasia, including certain forms of congenital adrenal hyperplasia. Women with polycystic ovary syndrome tend to have normal or mildly elevated levels of DHEA-S.
Cysteinylglycine is a naturally occurring dipeptide composed of cysteine and glycine. It is derived from the breakdown of glutathione (a tripeptide). In plasma, cysteinylglycine is in a reduced, oxidized, and protein-bound form (aminothiol) and interacts via redox and disulphide exchange reactions in a dynamic system referred to as redox thiol status (PMID: 8642471). Spermatozoa of sub-fertile men contain significantly higher thiol concentrations as compared with those of fertile men. The detrimental effect on embryo quality of a high homocysteine (Hcy) concentration in the ejaculate and in the follicular fluid is intriguing and may suggest that Hcy is inversely associated with fertility outcome (PMID: 16556671). Rheumatoid arthritis (RA) is a chronic inflammatory disease which involves the synovial membrane of multiple diarthroidal joints causing damage to cartilage and bones. The damage process seems to be related to an overproduction of oxygen reactive species inducing an oxidative perturbation with an increase in some oxidized forms (disulfides and protein mixed disulfides) and a decrease in free thiols (PMID: 15895891). Imipenem (thienamycin formamidine) is a broad-spectrum beta-lactam antibiotic, always used in combination with cilastatin in order to avoid the premature breakdown of imipenem by renal tubular dipeptidase. As this dipeptidase also hydrolyzes the glutathione metabolite cysteinylglycine, the therapeutic association of imipenem and cilastatin causes plasma levels of cysteinylglycine to increase significantly, while cysteine levels are decreased and homocysteine levels are unaffected. Therefore, antibiotic treatment using imipenem-cilastatin induces important metabolic changes that should not remain unrecognized (PMID: 15843241). 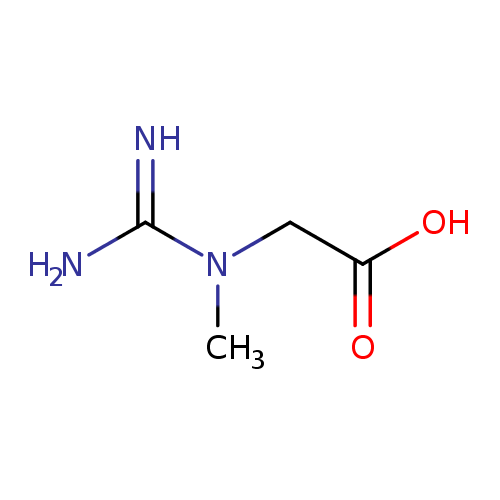 Dihydrothymine is an intermediate breakdown product of thymine. 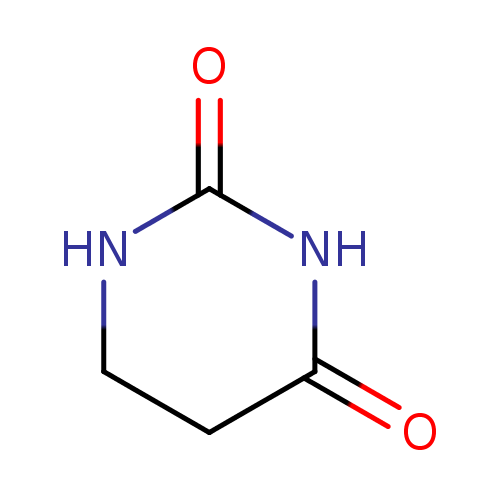 Dihydropyrimidine dehydrogenase catalyzes the reduction of thymine into 5,6-dihydrothymine then dihydropyrimidinase hydrolyzes 5,6-dihydrothymine into N-carbamyl-beta-alanine. Finally, beta-ureidopropionase catalyzes the conversion of N-carbamyl-beta-alanine to beta-alanine. When present at abnormally high levels, dihydrothymine can be toxic, although the mechanism of toxicity is not clear. In particular, patients with dihydropyrimidinase deficiency exhibit highly increased concentrations of 5,6-dihydrouracil and 5,6-dihydrothymine, and moderately increased concentrations of uracil and thymine can be detected in urine. Dihydropyrimidinase deficiency is a disorder that can cause neurological and gastrointestinal problems in some affected individuals. The most common neurological abnormalities that occur are intellectual disability, seizures, weak muscle tone (hypotonia), abnormally small head size (microcephaly), and autistic behaviours that affect communication and social interaction. Gastrointestinal problems that occur in dihydropyrimidinase deficiency include backflow of acidic stomach contents into the esophagus (gastroesophageal reflux) and recurrent episodes of vomiting. Glycerophosphorylcholine (GPC) is a choline derivative and one of the two major forms of choline storage (along with phosphocholine) in the cytosol. Glycerophosphorylcholine is also one of the four major organic osmolytes in renal medullary cells, changing their intracellular osmolyte concentration in parallel with extracellular tonicity during cellular osmoadaptation. As an osmolyte, Glycerophosphorylcholine counteracts the effects of urea on enzymes and other macromolecules. Kidneys (especially medullar cells), which are exposed under normal physiological conditions to widely fluctuating extracellular solute concentrations, respond to hypertonic stress by accumulating the organic osmolytes glycerophosphorylcholine (GPC), betaine, myo-inositol, sorbitol and free amino acids. Increased intracellular contents of these osmolytes are achieved by a combination of increased uptake (myo-inositol and betaine) and synthesis (sorbitol, GPC), decreased degradation (GPC) and reduced osmolyte release. GPC is formed in the breakdown of phosphatidylcholine (PtC). This pathway is active in many body tissues, including mammary tissue. 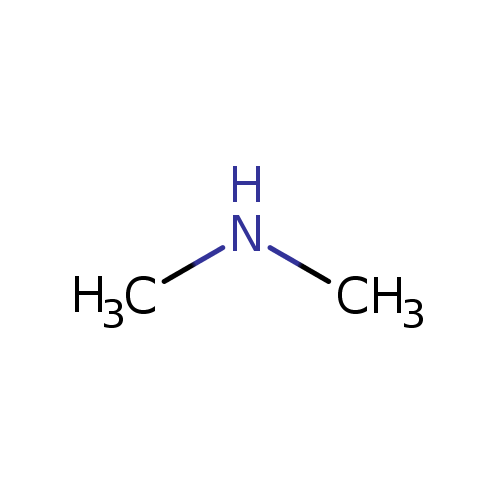 Dimethylamine (DMA) is an organic secondary amine. It is a colorless, liquefied and flammable gas with an ammonia and fish-like odor. Dimethylamine is abundantly present in human urine. Main sources of urinary DMA have been reported to include trimethylamine N-oxide, a common food component, and asymmetric dimethylarginine (ADMA), an endogenous inhibitor of nitric oxide (NO) synthesis. ADMA is excreted in the urine in part unmetabolized and in part after hydrolysis to DMA by dimethylarginine dimethylaminohydrolase (DDAH). Statistically significant increases in urinary DMA have been found in individuals after the consumption of fish and seafoods. The highest values were obtained for individuals that consumed coley, squid and whiting with cod, haddock, sardine, skate and swordfish (PMID: 18282650). 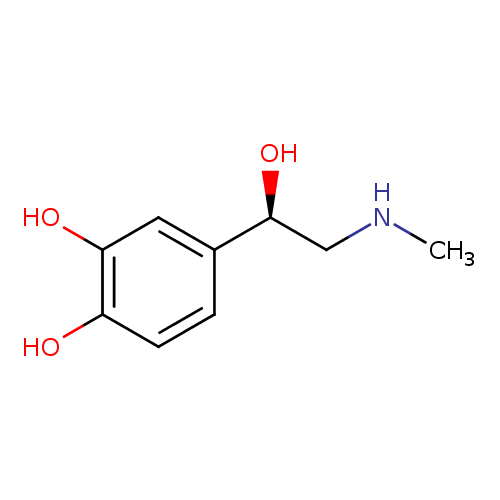 As a pure chemical substance Dimethylamine is used as dehairing agent in tanning, in dyes, in rubber accelerators, in soaps and cleaning compounds and as an agricultural fungicide. 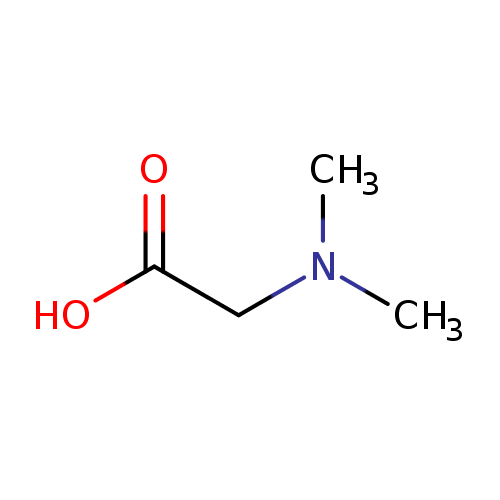 In the body, DMA also undergoes nitrosation under weak acid conditions to give dimethlynitrosamine. 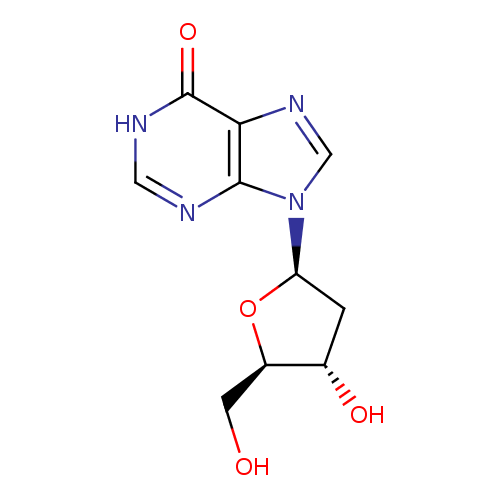 Cytidine is a nucleoside that is composed of the base cytosine linked to the five-carbon sugar D-ribose. 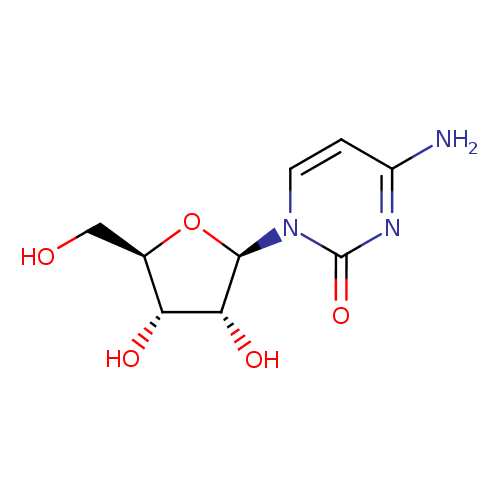 Cytidine is a pyrimidine that besides being incorporated into nucleic acids, can serve as a substrate for the salvage pathway of pyrimidine nucleotide synthesis. It is a precursor of cytidine triphosphate (CTP) needed in the phosphatidylcholine (PC) and phosphatidylethanolamine (PE) biosynthetic pathways. These variations probably reflect the species differences in cytidine deaminase, the enzyme that converts cytidine to uridine in the body. The transport of cytidine into the brain's extracellular fluid, and then into neurons and glia, are essential prerequisites for cytidine to be utilized in the brain. An efficient mechanism mediating the brain uptake of circulating cytidine has not yet been demonstrated. The biosynthesis of PC, the most abundant phosphatide in the brain, via the Kennedy pathway requires phosphocholine and cytidine triphosphate (CTP), a cytidine nucleotide involved in the rate-limiting step. The enzyme that converts CTP to endogenous CDP-choline (CTP:phosphocholine cytidylyltransferase) is unsaturated at physiological brain CTP levels. 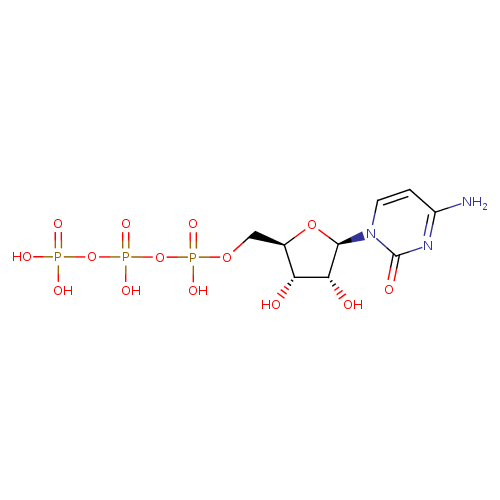 APOBEC is a family of enzymes that has been discovered with the ability to deaminate cytidines on RNA or DNA. The human apolipoprotein B mRNA-editing enzyme, catalytic polypeptide-like 3G protein (APOBEC3G, or hA3G), provides cells with an intracellular antiretroviral activity that is associated with the hypermutation of viral DNA through cytidine deamination. Indeed, hA3G belongs to a family of vertebrate proteins that contains one or two copies of a signature sequence motif unique to cytidine deaminases (CTDAs) (PMID: 16769123, 15780864, 16720547). 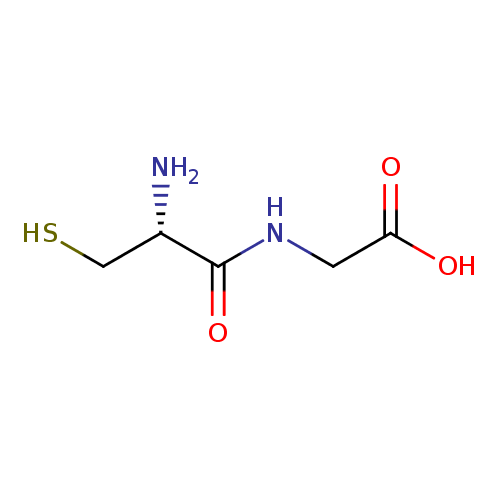 Dimethylglycine (DMG) is an amino acid derivative found in the cells of all plants and animals and can be obtained in the diet in small amounts from grains and meat. The human body produces DMG when metabolizing choline into Glycine. Dimethylglycine that is not metabolized in the liver is transported by the circulatory system to body tissue. 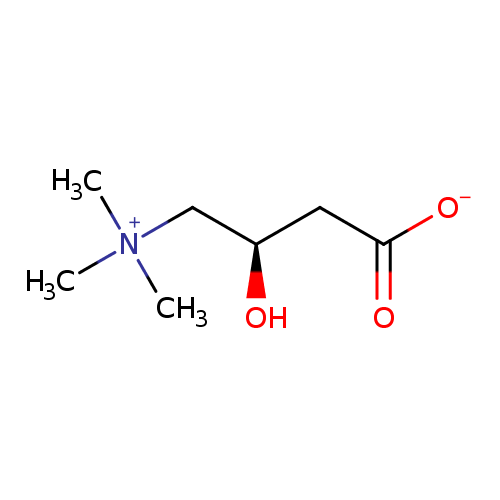 Dimethylglycine was popular with Russian athletes and cosmonauts owing to its reputed ability to increase endurance and reduce fatigue. DMG is also a byproduct of homocysteine metabolism. Homocysteine and betaine are converted to methionine and N, N-dimethylglycine by betaine-homocysteine methyltransferase.